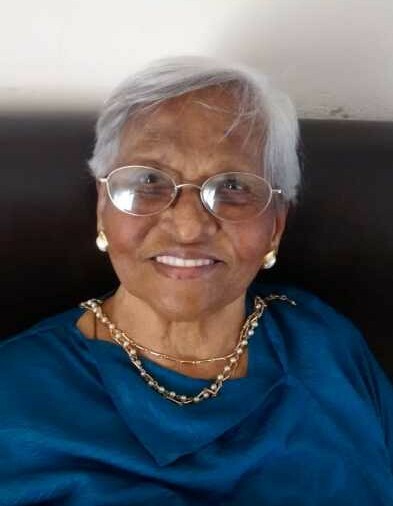 Lucinda Veneranda Fernandes, age 95, passed away on Monday, December 3, 2018 at her residence. Preceded in death by: Husband: Phillip John Fernandes. Children: Florence, Ladis, Wilfred and Alice. Survived by: Children: Gloria, Joseph, Felix and Maril. Brothers: Father George Nazareth and Avertan Nazareth. Sister: Albertina Nazareth. Numerous grandchildren, great grandchildren, other family and friends. Friends may view at JERRY SPEARS FUNERAL HOME, 2693 W. Broad St., Wednesday, 4-7 PM. Funeral Mass, 10:00 AM Thursday at St. Matthew the Apostle Catholic Church, 807 Havens Corners Rd. Father Peter Asantebwana, Celebrant. Interment Eastlawn Cemetery.